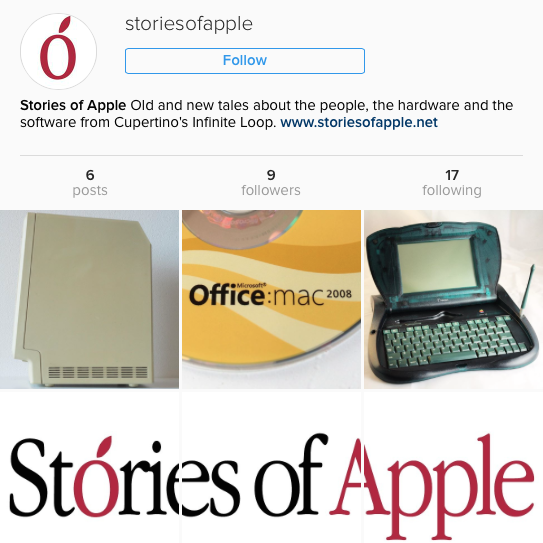 Stories of Apple – On Instagram and Patreon! Stories of Apple’s 2017 begins with two big news. The first news is that after Twitter, Google+ and Tumblr (where we’ve surpassed 1700 posts), it now also has a brand new online outpost on Instagram. Instagram is full of Apple historians, collectors and enthusiasts and now Stories of Apple is there too, to post and interact with them… and you. Follow us! 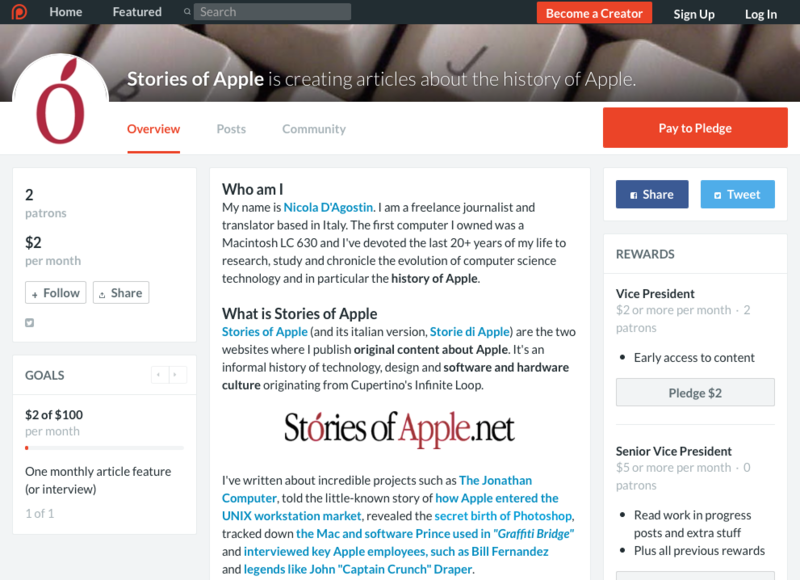 The second news, which will hopefully have a big impact on the future of this website (and its italian counterpart) is that Stories of Apple has joined other independent creators and publishers on the crowdfunding site Patreon! This website has always published its contents for free and never shown intrusive and ugly ads or sponsored posts and never will. So I ask you to join Patreon and support Stories of Apple by becoming a Patron and try to finance its future publications with a small (or big) monthly sum. There are a few tiers (I hope you’ll like their titles) and rewards on Patreon and I’ve also written a detailed explanation of what I plan to do and how you can help create more great articles and interviews about the history of Apple!